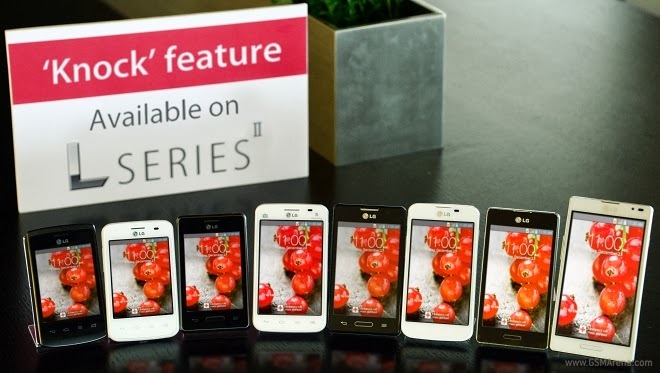 LG first introduced a new set of feature in LG G2 smartphone known as Knock (Previously known as Knock On), which is a combination of gestures allowing users to turn their smartphone on by tapping on its display twice without using the power button. It's sort of a necessary side effect from the power button being on the back of the phone. It proves quite useful later so that LG announced it will bring the Knock feature to the L Series II family of smartphones. Nokia Lumia 1020 has such double-tap to wake feature. The LG G Pad 8.3, LG G Flex and the recently announced LG GX are among the devices already having the functionality. The second generation LG L Series devices will get update via a global maintenance release. It will be seeded to devices in January 2014.